Should I Buy a Kia Sorento, Hyundai Santa Fe, Holden Colorado 7, Mitsubishi Outlander, Mitsubishi Pajero or Isuzu MU-X? — Auto Expert by John Cadogan - save thousands on your next new car! 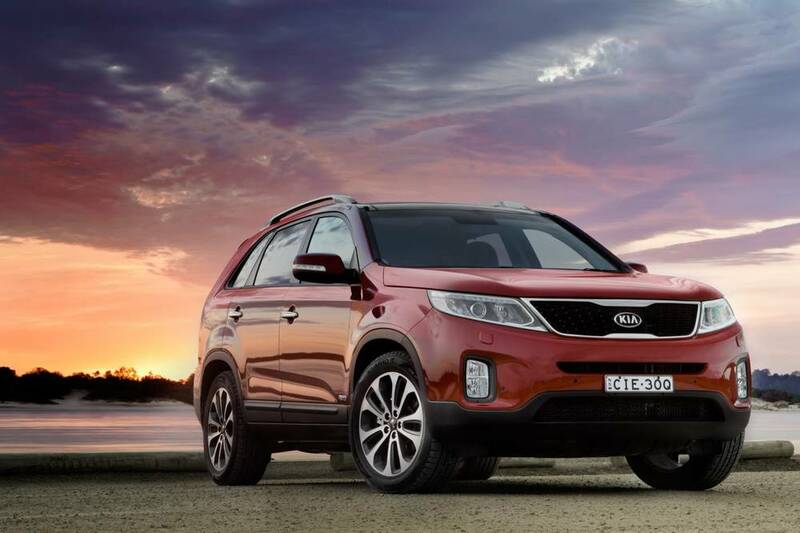 Should I Buy a Kia Sorento, Hyundai Santa Fe, Holden Colorado 7, Mitsubishi Outlander, Mitsubishi Pajero or Isuzu MU-X? Hi John, we are looking to buy a seven-seater. We already have a 2008 Mitsubishi Triton which is good for the dairy farm. We have three growing boys aged 2, 4 & 7. Just would like to upgrade my 2003 Holden Commodore VY wagon to something a bit bigger and more modern. I've always liked Kia Sorentos but my husband doesn't like the look of them. Others on my list are Mitsubishi Pajero, Mitsubishi Outlander, Holden Colorado 7, Isuzu MU-X. I've heard the Nissan Pathfinders are good too. What are your thoughts? Thank you very much, Alana & Brad. I don’t know what “doesn’t like the look of them” means. If Brad is twitchy about the brand, he needn’t be. The Kia Sorento (and Hyundai Santa Fe - they’re essentially the same thing) is a great seven-seat SUV. Very practical, well built and the Hyundai has a long 5yr warranty with capped price servicing for the life of the vehicle. The Kia has an even longer 7yr warranty. If your husband actually doesn’t like the look of the Sorento, visually, then maybe look at the Hyundai Santa Fe, which is essentially the same vehicle (same engine/trans/floorpan/etc) with different styling. The fundamental distinction is: do you need an all-terrain wagon or an SUV (ie a wagon with limited off-road ability)? 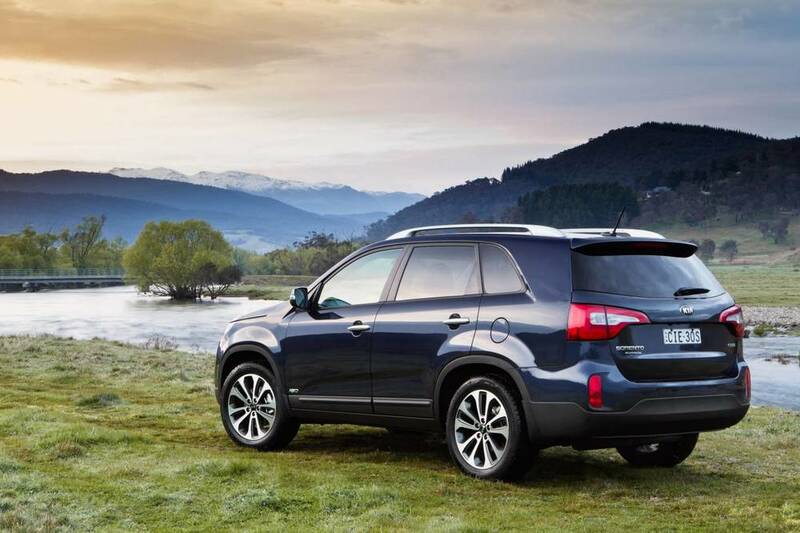 The rest are divided into two camps: the all-terrain wagons and the ‘soft roaders’ (like the Sorento). Generally the Mitsubishi Pajero, Nissan Pathfinder, Isuzu MU-X and Holden Colorado 7 are not as nice to drive on roads as the Mitsubishi Outlander, Kia Sorento, etc. The Isuzu MU-X can’t match the Holden Colorado 7’s engine performance and has a five-speed transmission as opposed to the Holden's six-speed transmission (otherwise, apart from styling, they are essentially the same vehicle). Bear in mind the MU-X and the Colorado 7 are derived from utes - and this generally translates to a somewhat imperfect wagon. (Because of the somewhat hasty adaptation - as opposed to designing a vehicle from the ground up. Mitsubishi is a basket case at the moment, so I’d be wary of the Outlander. I’d put the new Nissan X-Trail on that list (only, the X-Trail seven seater is front-wheel drive only - not AWD). And at the moment the X-Trail does not offer a diesel engine in its lineup. It’s especially nice, however, and the seven seats are very well packaged up. So, basically, I think you should decide whether you want a civilised on-road performer or not. If you want/need that all-terrain capability (and you don’t need that for driving on a dirt road, for example) the vehicle will not be as capable on made roads - bad for swerving around kangaroos, for example. Reconsider the Hyundai Santa Fe/ and Kia Sorento because it’s such a good vehicle in this segment. Then make a selection based on personal preference. I will get the team from the brokerage to call you, too, just to touch base. They are the experts at getting the right vehicle at the right price, and they will be a real asset to you here - especially as many regional buyers are locked in geographically to the one dealer, and are therefore a bit behind the eight-ball when it comes to shopping around. The team from the brokerage can help remove this constraint, and often get you a better deal. Should I Buy a BMW i3?